Please download the latest Java Plug-in for your browser here. Yellowtail (1998-2010: Golan Levin; rebuilt with Processing in 2007) is an interactive software system for the gestural creation and performance of real-time abstract animation. More projects like this one? Click back to the Yellowtail main page. 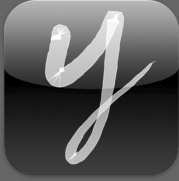 Yellowtail is now available ($0.99) as an app for iPhone, iPad and iPod Touch! This iOS app requires iOS 3.2 or later.